grow your influence by turning your business into a brand. You’ve been in business long enough to have some things figured out. You took the leap, went out on your own, and put your considerable grit towards learning what to do next. You spent hours working through courses, listening to podcasts, and posting in Facebook groups, and your hard work has been rewarded. You’re making sales… you just wish they were a little more frequent, and that you could better predict your income. You’re growing a following… but it seems to be taking a long time. Your posts get some likes but the comments are all crickets. And then there are those weeks (months) where you just don’t know what to say. You’ve made a bunch of new connections… but you’re kinda jealous that your competitor gets tagged in every post about your industry. What does she know that you don’t? Or maybe you’ve been getting busier and busier and it’s time to expand your team. You’re a little frustrated because your new hires only seem to understand about 75% of your business. You wonder if it would just be easier to do it yourself. Whether you’re creating something new or about to level up, starting with a strategic, well-crafted foundation is the key to building a lasting, memorable brand. You could smooth out that feast and famine cycle and build a steady stream of ideal clients. Say goodbye to tire kickers and brain pickers and hello to dream clients that make your heart giggle and your bank account sing. You were crystal clear on who you are, what you stand for, and most importantly, how to prove it. No more nervous sweating and mumbled answers when someone asks, “What do you do?” Confidence, FTW! You finally had a bigger presence, a louder voice, and a greater impact. You can stop feeling so invisible and start standing out as the leader you are. Finally write a book, speak on stages, and be a sought-after interviewee on the most famous podcasts. Your marketing was so easy that when someone tells you you can write your monthly content in an hour, you actually believe them. You could form partnerships with your business heroes and have them recommend you to their people as the perfect choice. You could confidently know which product idea is the one that will have your perfect people tripping over themselves on route to the buy button. You could add people to your team and have them hit the ground running. Everything is so seamless, your customers feel like they’re having the same experience no matter who is their contact. You could build a community of raving fans. When you know who you are, you can rise above the crowds and be visible to the people who need you most. All of this is possible, when you turn your business into a brand. I help tiny businesses brand big ideas. As a brand strategist and designer, I work with entrepreneurs who want to tie all aspects of their business to one consistent promise; people who are ready to be the go-to expert in their space, to build a steady stream of leads, and to confidently raise their rates. After twenty years in this industry, I know that design is not enough. If you want to grow and have more impact, you need to deeply understand your message and build a strategy for sharing it at every opportunity. I’ve worked with everyone from household names to brand new start-ups but for the last decade I’ve been a microbusiness, just like you. I know what it’s like to wear ALL the hats — you don’t have time for anything that doesn’t get results. I believe that everyone has a unique brilliance, but most people don’t know how to identify it and craft it into something that acts as a beacon to their perfect people. It’s so important to craft a compelling brand story. Knowing who you are, what you stand for, and how you plan to show up is the key to more leads, shorter sales cycles, more influence, and a business that enables you to do, be, and have everything you’ve ever wanted. Brilliant Brand is a personalized brand co-creation program. Years of experience has shown me that the best, most exciting results happen when I work side by side with a client. Feedback is swift, decisions are nearly immediate, and the final results are something you not only feel amazing about, but that you are able to put into action on a daily basis. Part coaching, part custom work, Brilliant Brand ensures you get the guidance and creative work of a professional as well as the tools and knowledge to start expanding your brand from day one. Many brand programs start and stop with visual development; but visuals are only one part of your brand. Your brand is a place in your customer’s mind and therefore every single touchpoint is a chance to make or break your brand promise. During Brilliant Brand, we’ll co-create a compelling brand story that you’ll return to again and again. 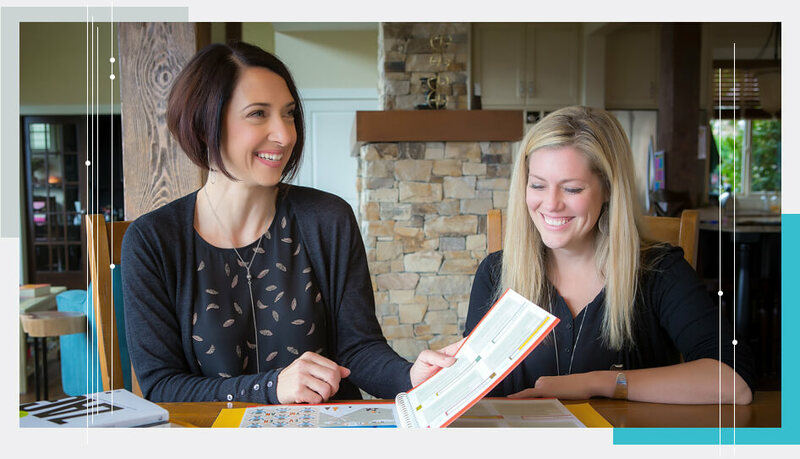 We’ll articulate your guiding principles, take a deep dive into your most valuable customers, and build a brand personality that is aligned with who you are and connects to who you serve. Together, we’ll craft a brand promise that sits at the heart of your story and draws people in. All our findings are recorded in a Brilliant Brand Guide, a written document that you can use to keep your brand consistent or to share with other staff and stakeholders. The visual components will be included in a mood board that acts as direction when building out your visual identity. 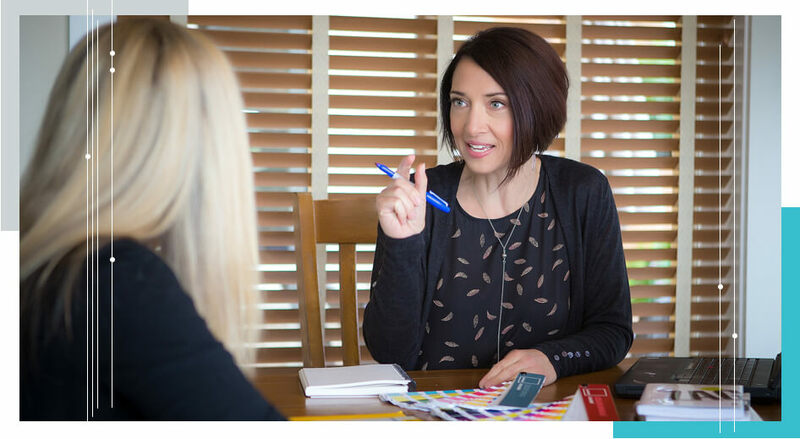 Linsey took me through a comprehensive brand identity process and it revealed to me who I really wanted to be in my business and as a professional. Being so clear about who I am and what I stand for has enabled me to find the right people for my business. Now, everything flows and I’m serving the right customers with exactly what they need. Your brand is the soul of your business and the most important thing to be sure you’re aligned with, at every step. If you’re ready to unmask your brilliance, let’s get started. The Brilliant Brand process takes about a month. If you add a custom identity, it is usually 6-8 weeks total, and if you add a website as well it’s usually around four months. Exact timelines can be discussed once the project is agreed to. I just really need a logo. Can I skip the strategy part? The explanation is that a logo is really not that useful if it doesn’t work with a larger strategy. I have seen too many business owners need to completely start over once they got clear on how they wanted to show up. Do you take rush jobs? Do you offer any other types of design? E-books? Speaker decks? Yes! I love seeing people start to expand their brands. Contact me to discuss what you need. I need ongoing help. What can I do? I offer limited Brand and Creative Partnerships where I become part of your team and act as your designer and brand strategist on an ongoing basis. Check out the link to learn more, or contact me to discuss your needs. This is OUTSTANDING! I can’t believe how well you translated our ideas into key messages and an action plan for moving forward. I love all of the ideas and can’t wait to go through this in more detail. It is so nice to have this structure that helps to support our thoughts and how we can best take steps towards our goals (otherwise we get lost with so many great ideas and plans and not a clear strategy!). I’ve been waiting for YEARS to do this work with you and it was just an incredible experience. Your guidance helped me incorporate my values into the brand promise for my customers. I feel grounded in all my decisions because of this work! Click the GET STARTED button to be taken to my project inquiry form. Fill out the form and tell me a bit about your project to get the ball rolling. I’ll send you a link to schedule a brief, free 30 minute call with me. Let’s make sure we’re each other’s perfect people. Once we’ve spoken about your unique needs, I’ll put together a proposal and send it over for your review. Once the proposal is accepted, I’ll send over an invoice for the deposit to hold your space in my project schedule. We’ll also officially schedule your start date. Before we begin, I’ll set up a private workspace where we can share files, ideas, and discussions. 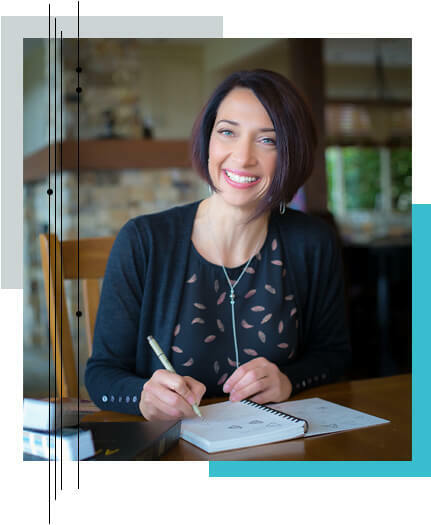 I’ll also send over a welcome guide that will walk you through all the most important information you’ll need to know while working with me. I can’t believe how it’s all come together. I had my business partner take a look at it for the first time in a long time today and her reply was “Linds, I want to hire you!” She said it’s better than she ever imagined that it could look and thinks it really is me. I absolutely love the final product. I know I am extremely particular and detail-oriented but there isn’t anything I’d change. So THANK YOU for everything! Is this the year for more perfect people, a shorter sales cycle, higher profits, and recognition as the leader you are?